The item The castaways : a story of adventure in the wilds of Borneo, (ebook) represents a specific, individual, material embodiment of a distinct intellectual or artistic creation found in Charlotte Mecklenburg Library. 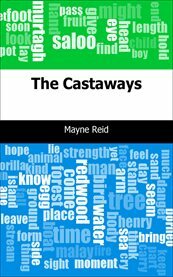 "The Castaways" by Thomas Mayne Reid is a classic, action-packed tale about a ship that gets trapped in a storm in the Celebes sea. A group of travelers are able to escape to a small island but they face a series of obstacles onshore!